“It starts in a suburban backyard. Darren Keefe and his older brother, sons of a fierce and gutsy single mother. The endless glow of summer, the bottomless fury of contest. All the love and hatred in two small bodies poured into the rules of a made-up game. Darren has two big talents: cricket and trouble. No surprise that he becomes an Australian sporting star of the bad-boy variety—one of those men who’s always got away with things and just keeps getting away with them. It’s Day 3 of the Adelaide test and I’m sitting on the front verandah of a California bungalow in the inner-north-west suburbs of Melbourne. Play is yet to start. In the near-distance, the electric hum of a hedge trimmer works over a Photinia Robusta. 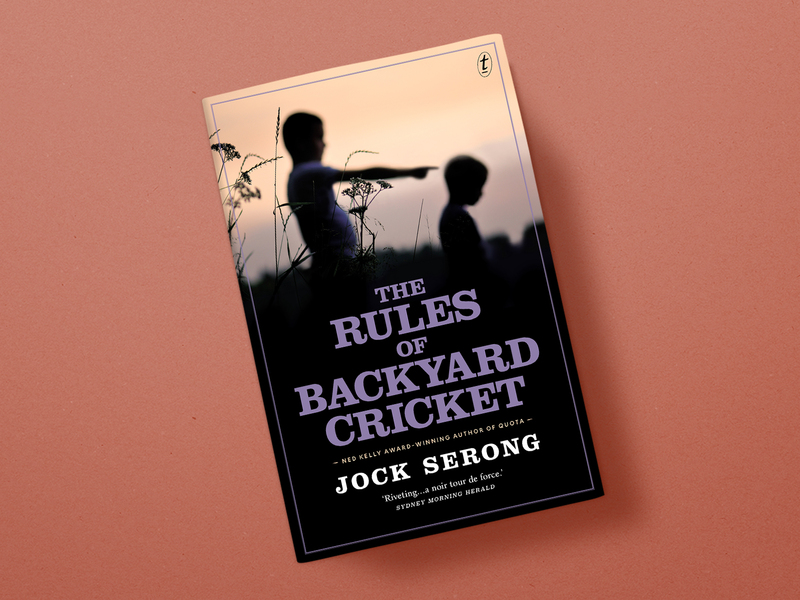 I’m 9 pages into Jock Serong’s The Rules of Backyard Cricket and already sad that only 277 pages remain. I pause and reach in solace for a canine companion. It’s 1.25pm, 1 hour and 5 minutes until play starts in Adelaide, a day-night test. Wally Keefe - a purist, a respecter of rules - would be appalled. Test cricket played at night? That’s just not cricket. Serong pulls me into 1970s suburbia and I giggle aloud at the sight of Darren’s mother swinging from the branch of a fruit-laden apricot tree like a gibbon, finishing off her no-nonsense work with a chainsaw. But my memory pulls me forward and it’s the 1990s. In this memory I am standing on a verandah in country Victoria, Kookaburra Sapphire in one hand, an old beaten up cricket ball in the other. The heat is oppressive, but the need to knock in the new bat is stronger. Soft cherries appear on the bat: Bppk. Bppk. Bppk. Bppk. Thooonk. I miss, the ball falls to the jarrah below. My canine companion stirs from her slumber, unimpressed. Then Nnnnnnnnnng, a mosquito brings me back to the present. Current-day canine companion is at short leg, snoring. 2.30pm: the Test resumes at 6/307. Khajawa is on 138, a lawn mower fires up across the street, idling in a cool breeze. The back cover of the book tells no lies: Serong’s lyricism is such that you feel every shot, every mis-hit, every disappointment. My chest tightens as Darren describes an asthma attack. In this memory, I sit at the foot of my Gran’s double bed. The rhythmic whir of her nebuliser as she strains for breath comforts us both. I am seven. We sit, together. And now Khawaja is out, plum LB for 145. He walks as they review; Wally would approve. Australia lead by 68 runs. 3.15pm: Darren and Wally debut in the Under 12s. Darren finds the boundary while Mitchell Starc pulls one over mid-wicket for six. The mosquitoes have forced me inside by the wireless. Canine companion lies at my toes. In this memory, I am at the crease. The toes of each foot flex to the top of my shoes in succession. Left, right, tap the bat once; left, right, tap again. I nervously look down as my hands curl in two ‘v’s on the handle of the bat. I am 12 and I am small, dwarfed further by batting pads. Too embarrassed to apply a thigh guard beneath my whites in front of the boys, I practice a defensive shot in my mind - keep a straight elbow, head over the ball, keep a straight elbow, head over the ball. My inners are damp with sweat, velcro pulled tight around my wrists. I struggle to see from under an oversized helmet. My ponytail is tucked up and under in an effort to make it fit, in an effort to hide. Do they know I’m a girl? I’m at the Wyndham Street end, sun at my back, heart racing. He bowls right arm, ‘medium’-pace, over the wicket. They all do. Whether willow hits leather slips my mind; I survive the strike, the over ends. 3.30pm: Starc makes 50, driving past long on for 4 runs. 4.00pm: the Australian innings is over at 383. Just as our neighbour across the road slides the throttle from hare back to tortoise, Serong thwacks me with a vivid mowing incident reminiscent of the kangaroo scene that stays with me from his debut novel, Quota. I still tell people about that scene. 4.25pm: Dean Elgar is out for a duck. Bowled Starc, caught Smith. Hope is in the air; perhaps the humiliating start to the Summer of cricket is coming to an end? 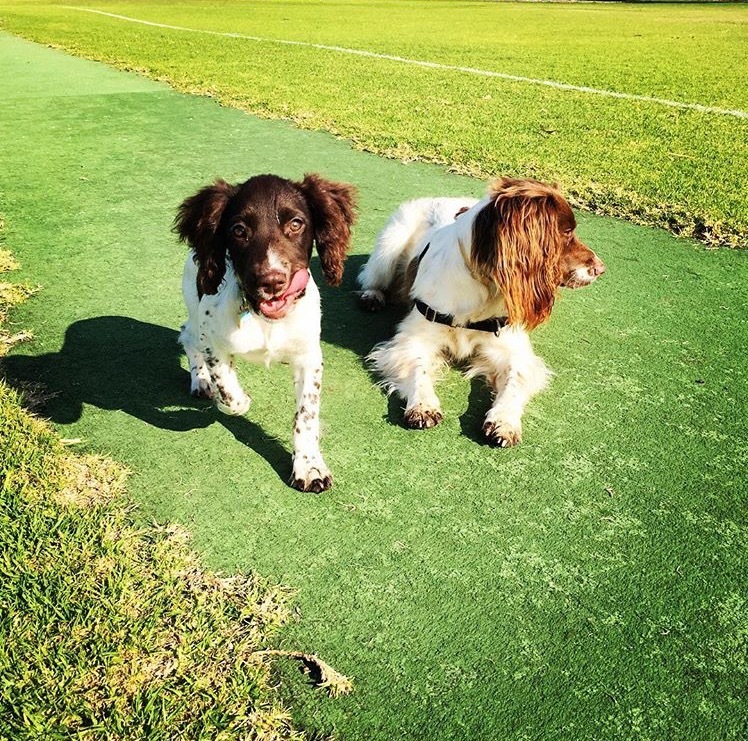 Darren and Wally learn about mates, about sledging, about having each other’s backs, about being men. Serong explores a very Australian masculinity through the ethics of contest. I am nostalgic. I think of Dean Jones, of Warnie, of the Waugh brothers, of Michael Slater and his perfect teeth. Darren goes one way, Wally goes another. 9.05pm: play resumes after tea and the light fades over Adelaide Oval. Gerard Whately and Chris Rogers descend from the stadium rooftop and Du Plessis is caught brilliantly in the gully by Handscomb. South Africa are 4/155. I’ve been to the gym, cooked tea, and I am gripped by a sudden ratcheting of tension in the Rules of Backyard Cricket. We have left the comfort of backyard reminiscence. It is life and death. Even the most beautiful things are corruptible. I think of Garry Ablett Senior, of Hansie Kronje. 9.47pm: Australia have South Africa on the ropes. Lyon has his second wicket after a bizarre series of attempted strokes from Bavuma. Hope builds for redemption for Australian cricket in 2016/17. But what hope for cricket? Serong has cricket on the ropes. He has men on the ropes. He has us all on the ropes. He asks questions of morality, integrity, celebrity, masculinity, humanity. In this memory a nosebleed has me jogging to the pitch from solitude at fine-leg, eyes skyward, small droplets of claret staining brown on my whites as they dry in an arid Mallee northerly. Mr Lacy (our team coach and umpire) hands me an impossibly large handkerchief. Why do men need such large handkerchieves? What destruction do they leave in that requires such remedy? My canine companion sidles up to my face with a wet nose. She senses the tension as the narrative grips tighter. It throttles me and doesn’t let go until page 288. 10.02pm: South Africa are 6/194 at stumps on Day 3 and I am wrecked by the brilliance of this book. If you have a crime-fiction loving cricket fan in the family, consider your Christmas shopping sorted.